This year's list of top baby names has a lot in common with last year's. Did your child's name make the list? BabyCenter has just released its list of 2016's most popular baby names and....it's strikingly similar to last year's list. The crazy thing? The No. 1 name for both boys and girls remained unchanged: Jackson took the top spot for boys, while Sophia was the most common name for baby girls in both 2015 and 2016. The U.S. isn't the only country that loves the name Sophia: As we've previously reported, the moniker has an unstoppable global presence. But the top names for both genders aren't the only examples of overlap between last year's breakdown and this year's: How crazy is it that the top five names for baby girls remained exactly the same from year to year? Emma, Olivia, Ava and Mia rounded out the five most popular names for baby girls in both 2015 and 2016—and even the order of popularity remained the same! There was almost no real change among the most common name for baby boys either: Aiden, Liam, Lucas and Noah joined Jackson to make up the top five names for boys both years—though Lucas overtook Liam for the No. 3 spot in 2016. 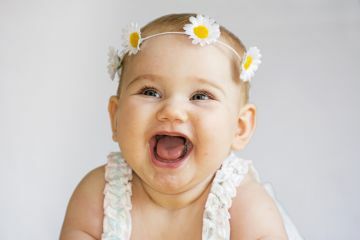 The U.S. government will release its data on baby names in the early part of next year (and BabyCenter calculates percentages by combining names with multiple spellings, which alters the rankings a bit from the government tallies)—but this gives us a pretty interesting picture of the names parents are loving these days. Do you think the top names will hold on the their positions for a few more years? Are you surprised to see so little change between last year's list and this year's? Tell us what you think—and check out the full list right here!